luxury – Design Your Lifestyle. 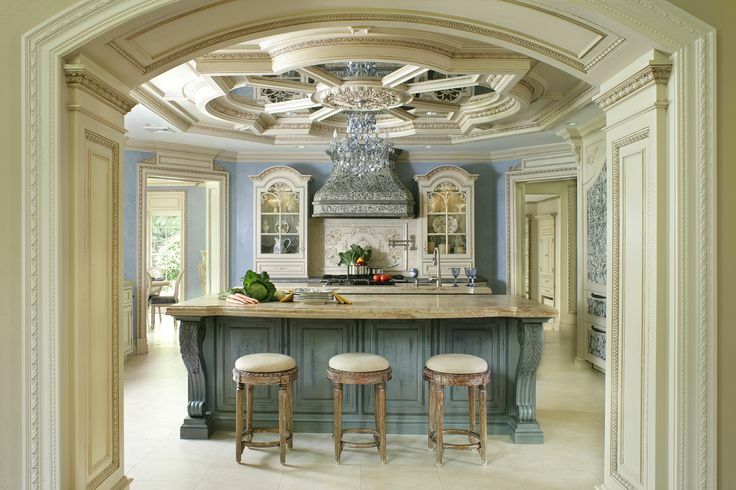 Luxury Kitchen Design Lovers MUST Watch This Video! March 2019 March 2019 Peter Salerno, Inc. The fine people at Hardware Designs are regarded as New Jersey’s premier destination for luxury kitchen, bath and architectural hardware. They have also created a series of must-watch videos entitled Spectacular NJ Kitchens & Baths, which recently featured a custom Peter Salerno Inc. kitchen design. Spectacular New Jersey Kitchens & Baths is a special Hardware Designs online video series hosted by Larry Goren, the company’s owner. 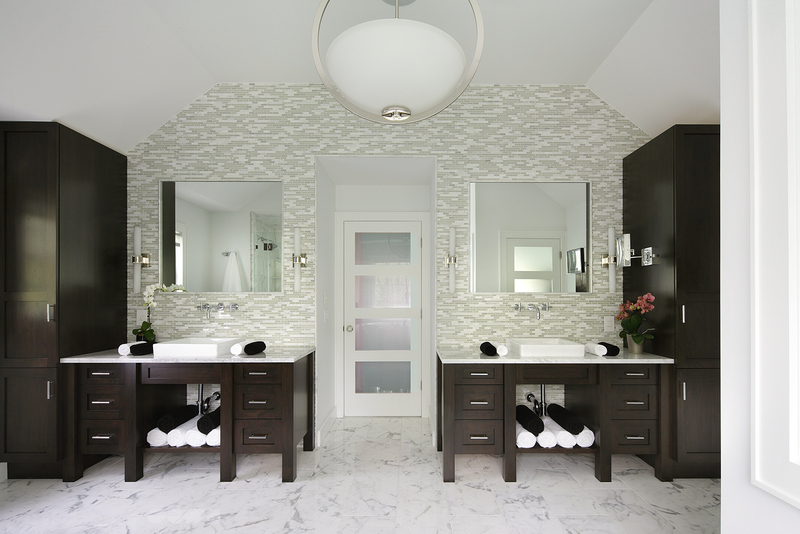 In each episode, Larry Goren features a stunning custom kitchen and/or bath design created by a leading area designer. In this can’t miss episode, Larry Goren covers the Peter Salerno Inc. kitchen that was given the 2010 NKBA Best Kitchen Award. The kitchen, which belongs to Peter Salerno’s client Chris Sompolski, is a striking example of Peter Salerno Inc. kitchen artistry. 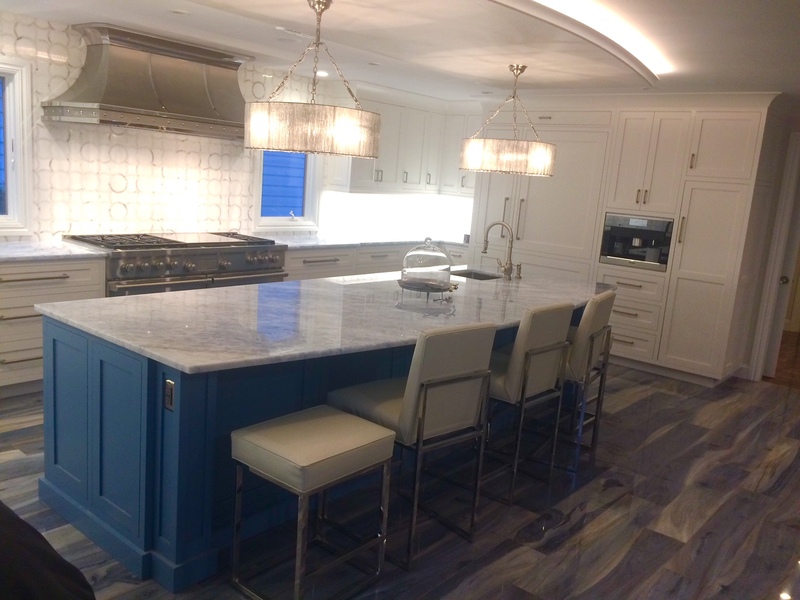 In his interview, Peter Salerno Inc. discusses the specific details that went into making the 2010 NKBA Best Kitchen the work of art it became. Working closely with client Chris Sompolski made it possible for Peter to fulfill all of the personal wishes that made this kitchen design special. 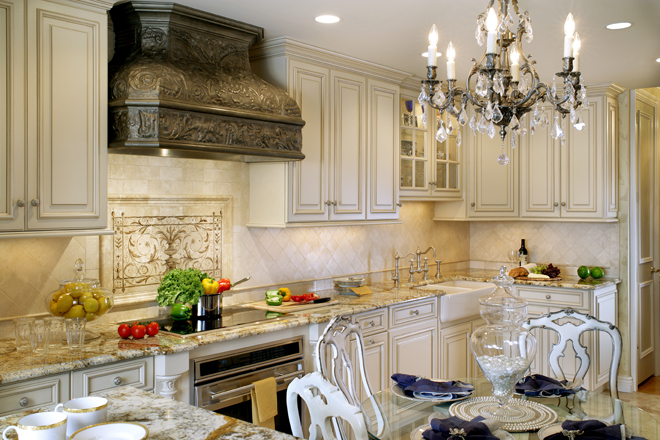 A luxury kitchen design is more than the facets, materials and design elements that make up its physical components. True luxury comes in the personalization of your kitchen design, which begins with a master designer taking the time to learn about you and the people who will enjoy your new kitchen space. Personalized luxury can be as simple as learning how you will interact with your kitchen, or as detailed as incorporating personal, unique touches to your kitchen design. How would you wish to make your kitchen design personal? What elements could a designer like Peter Salerno bring to your kitchen to make it significant and special to your life? A special thank you to Larry Gerin and the team at Hardware Designs for choosing to feature Peter Salerno in this episode of Spectacular NJ Kitchens and Baths. Enjoy the video, and leave a comment below! July 2018 July 2018 Peter Salerno, Inc. In this series, Design Your Lifestyle shows you how luxury home design in 2018 can be far more affordable than you think. The series began with Part 1, where we stated that ‘luxury’ is a far more flexible term than you might think – especially when it comes to custom kitchen design and custom bath design. The key to luxury home design is simple, and it’s the exact opposite of what you’re told to believe: you shouldn’t want to keep up with your neighbors. True luxury home design in today’s marketplace isn’t about trying to ‘one-up’ others; rather, it’s about focusing on yourself. New kitchen design installation photos from Peter Salerno Inc. Achieving true luxury in your kitchen design, bath design or whole home design is all about personalization – not price. Personalized Luxury is the best kind. What good is a beautiful home design if it’s sterile? Imagine a spacious, glamorous home full of the hottest design trends, posh furniture, luxury appliances and state-of-the-art technology. That would be a great place to hang out for awhile, but would it be a great place to live? A house can be virtually anything. But your HOME has to reflect you. A home provides comfort, security, sentimental touches and reflections of your family, friends and loved ones. And if it doesn’t compliment your own personality and sense of style, then is it truly “yours”? One of the reasons we lean on our parent company, Peter Salerno Inc., for constant design advice is simple. Peter Salerno and his team spend an inordinate amount of time honing their crafts, attending conferences and design showcases, and partnering with the finest brands and sub-contractors in the world. But they spend even more time learning about their clients. Peter Salerno Inc. 2017 new white kitchen design – stunning and trendy. The application of personal touches and ‘personalized luxury’ even extends into Peter Salerno’s own home. 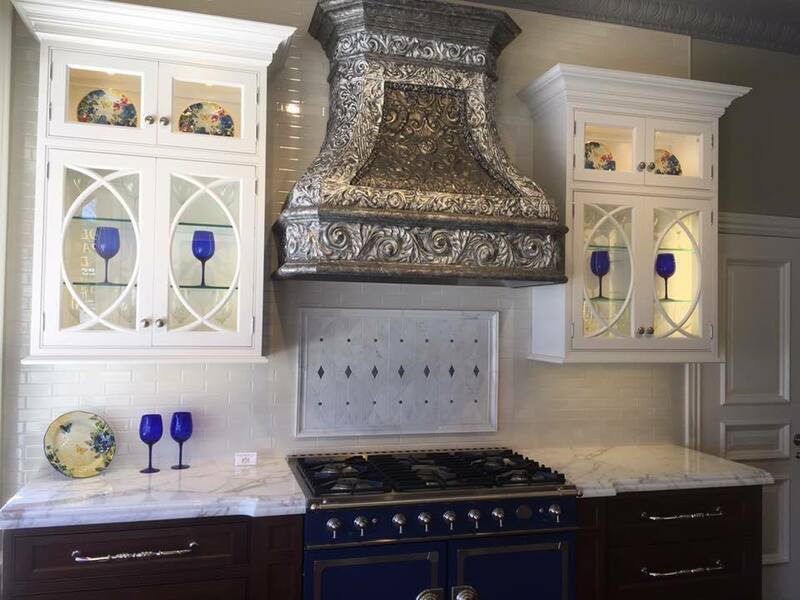 Peter’s home kitchen is adorned with hand-painted floral arrangements on each of his custom cabinets – one to signify the birth month of each of his family members. 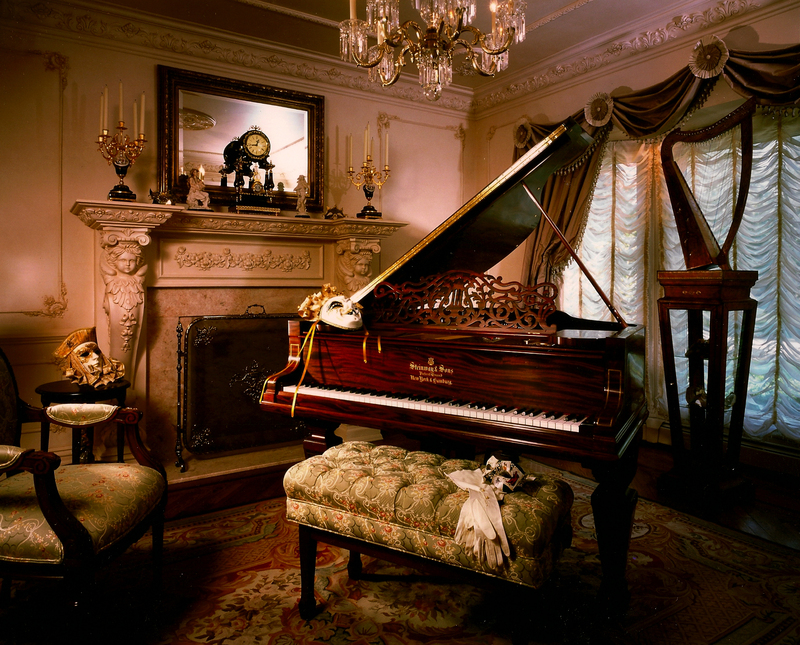 There are two ways to approach the concept of adding value to your home through hiring a world-class custom designer. One is, of course, financial – resale value is an important measurable to consider for the future. But in the here and now, the second concept of added home value is invaluable – and that’s the idea of personal value. We’ll put it this way. Whatever your current design (or re-design, or renovation) budget may be, would you rather spend it on impersonal items that will only serve to add re-sale value? Or would you choose to invest some or all of that budget in making your home a place where you (and the world) can feel a true connection to who you are and what you love? Quality home design firms today must take the time to learn about you as a client. Everyone wants beauty in his or her daily life, but the definition of beauty is unique to each individual. Ultimately, your custom kitchen designer, custom bath designer, or whole home designer must answer to one standard of beauty – yours. The details make the design, and they also make it personal. Whether it’s reclaiming materials from your first home for use in your new home, or finding decor from your hometown, or simply utilizing your favorite colors, expert designers like Peter Salerno understand the difference between ‘a gorgeous house’ and ‘your perfect home’. And by utilizing that thought process, they can provide you with luxury home design that focuses on personalization, not price. Want more information about this article, personalized luxury, or the designers mentioned? Fill out the contact form below or leave a comment! “Luxury” and “affordable” are 2 words that seem like polar opposites. This is especially the case when it comes to high-end home design, specifically custom kitchen design and custom bath design. The world of luxury home design seems like a far-off fantasy to most people. (The author of this article is definitely guilty of perusing Pinterest for high-end home design photos and letting out a wistful sigh or two.) Whether your taste is gorgeous French ovens and ranges, state-of-the-art bath fixtures, custom tile work or unique accessories, luxury home design – and its price tag – appears to be a bit out of reach. But luxury home design style can be attainable – and affordable. World-renowned design firms like the award-winning Peter Salerno Inc. are committing to make design fantasies into realities for a more reasonable cost than ever before. The finest custom kitchen and bath design companies in the world are trending towards “affordable luxury” – the idea that high-end design shouldn’t always be reserved for high-end budgets. For Peter Salerno Inc., that idea takes shape in the form of the revamped Transitions™ collection. Peter Salerno Inc. is the most award-winning North American custom kitchen and bath design firm of the last 15 years, with awards from prestigious organizations like the NKBA, KBIS, Sub-Zero, Wolf, and Signature Kitchens & Baths. Their tagline, “It’s all about the extraordinary”, now applies to more budgets and households than ever before. For those that appreciate quality, craftsmanship, and design but don’t require a Rolls Royce; Transitions is the only choice. We bring our award-winning design expertise to your space accompanied by quality cabinetry with a wide variety of door styles, finishes, and moldings. At a price-point 20%-45% less than our Tesoro line, this is the perfect option for builders and homeowners looking to furnish a home with something extraordinary while staying in budget. The thing we love about the concept of “affordable luxury” is that the term is flexible. As we’ve discussed in previous articles, today’s best design trends are all about personalization, and that includes the design budget. After all, the term “affordable” is relative to each client. For Peter Salerno Inc., “affordable luxury” is as simple (and refreshing) as always providing the highest quality work, craftsmanship, design, materials and delivery for the client’s budget. In the coming weeks, we’ll be talking more about affordable luxury in custom home design, and the best ways for you and your professional design firm to create the luxurious home space of your dreams without breaking the bank. Stay tuned! August 2017 August 2017 Peter Salerno, Inc. In Part 1 of our ‘How to Afford Luxury Home Design’ series, we discussed personalization of your home design and the concept of “affordable luxury”. This trend, popularized by some of today’s most notable home designers, is focused on bringing a sense of luxury and class to any home, regardless of size, space and budget. As Part 1 states, bringing “affordable luxury” to life in your home design generally requires you to work with a renowned professional design firm. This seems a bit counter-intuitive at first glance, as “professional design” and “affordable” don’t seem to fit with one another. However, world-class design firms like Peter Salerno Inc. have made it part of their brands’ missions to provide award-winning design solutions to a wider expanse of budgets. Skeptical readers certainly have their questions about this theory, and it’s our job to resolve those doubts. In this “Q&A” style article, we’re going to debunk some myths about professional design firms and price point, as well as offer some concrete examples that “affordable luxury” is a trend that will only become more accessible as time passes. Q. Hiring a professional design firm inherently costs more money than a DIY approach to home design, doesn’t it? A. Perhaps, but not necessarily – especially if you consider an investment of your time part of the expense. Think about how much time it takes to plan, actualize and complete a DIY project. There are likely days missed from work, personal time lost on weekends, and (inevitably) the pain of having to approach various parts of your home design task two, maybe even three times to get it right. A professional home design firm streamlines your home design process and execution, offering you the ability to get it right the first time. The proper plans will be made. Every facet of the job, from design to accessories to fixtures and nuances, will be done properly the first time to your satisfaction. 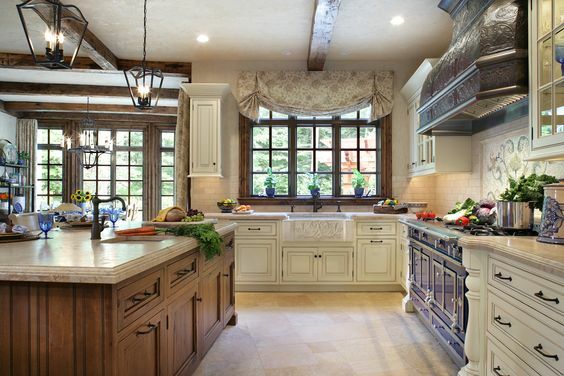 A Peter Salerno Inc. award-winning kitchen design. Photo credit Peter Rymwid. Q. How can I be sure a high-quality home design firm will match my budget? A. If you’re seeking high-caliber design, there absolutely will be an inherent level of cost. The difference between that cost in the past versus today comes down to one factor – demand and competition. Virtually anyone can create a world-class home design on an unlimited budget. The best design firms are all competing for your business in a slightly deflated market; as such, now is the perfect time to snag a tremendous designer at a reasonable price. Q. Okay, so world-class home design companies are competing at a more affordable price range. What about their suppliers and sub-contractors? A. This is actually one of the major advantages of working with renowned designers. Their long-term, pre-existing relationships with suppliers, artisans and sub-contractors allow them access to more competitive rates than the average design team or consumer. Suppliers and sub-contractors must maintain close, functional relationships with high-end custom home designers in order to maintain a steady stream of work, not to mention an appropriate level of prestige. It is in their best interest to negotiate competitive rates with the very best designers – that savings is inevitably passed on to savvy consumers. Q. Assuming we’ve covered the home design process when it comes to “affordable luxury”, how does that apply to delivery and installation? A. Simple. The very best custom home design companies do both. The team at Peter Salerno Inc. explained to us recently that for the best designers, it’s never “just” about awards, trade shows and magazine articles. The true joy for these firms is in personal delivery and installation of their design creations, ensuring they come to life exactly as they were planned. Interested in more information about “affordable luxury” when it comes to world-class custom home, kitchen and/or bath design? Fill out the contact form below and ask us your questions/give us your comments!